Was the release of Dota 2’s first “new” hero Monkey King GabeN’s way of avenging the death of Harambe? We’ll never know. But we do have some information about what the new hero is all about. 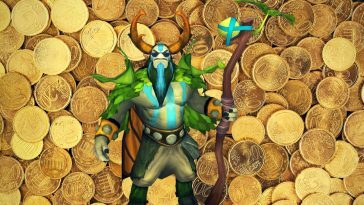 For the first time ever, Valve releases a ‘new’ hero that wasn’t available in Dota 1. Amidst the hype and thoroughfare surrounding the inevitable Pit Lord release around TI6, Valve one upped fans’ expectations by announcing an additional hero; Sun Wukong the Monkey King. 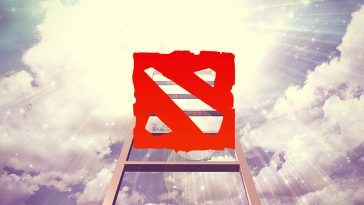 The announcement signals the dawn of a new era in Dota 2 where Valve can look at releasing their own hero concepts, perhaps in small increments with community suggestions, or even open up to the community about possible hero ideas. We don’t know what Valve has planned for the future, but for now let’s talk about Monkey King, which we assume is what it’s going to be called. 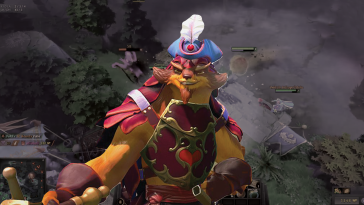 It actually looks like Valve’s been prepared with the Monkey King model for a while. Featured here in Phantom Lancer’s “Envisioning Heroes” set of loading screens released for TI5. The old connotation between PL being Monkey King or a form of the Monkey King is actually quite prevalent, due to the similar abilities the heroes have (illusions) and further lore in the form of in-game items that show PL wielding a Monkey King Bar staff. What possible Abilities could Monkey King have? As far as the hero’s abilities go, it’s still a bit unclear, but there are basically two sets of sources we can use to make a guess. The first is the “old” hero build that’s been around for basically forever, that has resurfaced a bit recently on places like reddit and PlayDota. This build has a skillset very similar to the current Phantom Lancer’s, so we’re a bit weary that this is the one that’s actually going to be released. You can check it out here. The second set of abilities has also been circulating recently in China and seems very slightly more credible considering there’s less overlap between other illusion heroes. This was originally picked up from a “Leak” on a Chinese forum and swept through Google Translate, so take it with a grain of salt. Note: Taken and roughly translated from this reddit comment. All the enemy units in cast range suffer a flying hit of 1.25 seconds and stun damage. The closer it is, greater the suffered damage and stun effect. Wukong’s mantra can make his golden cudgel larger or smaller. Larger increases attack range, splash damage, attack damage and causes attack speed and movement speed reduction. Smaller decreases attack range, attack damage, increasing attack speed and movement speed. Creates a somersault cloud within a certain duration to obtain a movement speed bonus. In the somersault cloud, Sun Wukong can ignore terrain. Can transform into any object, including units, trees, water, neutrals, runes, and so on. Transfigurations lose all property, retaining only the speed and HP of the object. Attack or use an item to release the skill, transforming back with additional attack damage. If this is true then it reveals a whole new playstyle for Monkey King, making it not illusion based but using the surrounding terrain for its benefit. Kind of like what befits a “King of the jungle”. Monkey King is voiced by Matthew Mercer, who also did the voice for Sun Wukong in Heroes of Newerth. Though most of you will know him as the voice of McCree from Overwatch. Although Monkey King is a very popular archetype in games such as League, HoN, Smite and even anime, that doesn’t necessarily mean the Dota 2 Sun Wukong will share the same core mechanics as it does in the others. Icefrog is known for experimenting and trying out new things in the genre without letting it affect the balance of the overall game, so with heroes like PL and Terrorblade already sharing two or three abilities, it’s quite likely the new Monkey King will be something different. We hope it’s a fresh new hero worthy of holding the honor of being Valve’s first Dota 2 hero that isn’t a port from DotA.